If you're eyeing on the Fenty Beauty Galaxy Eyeshadow Palette, just want you to know that it is now available at Sephora for RM240. 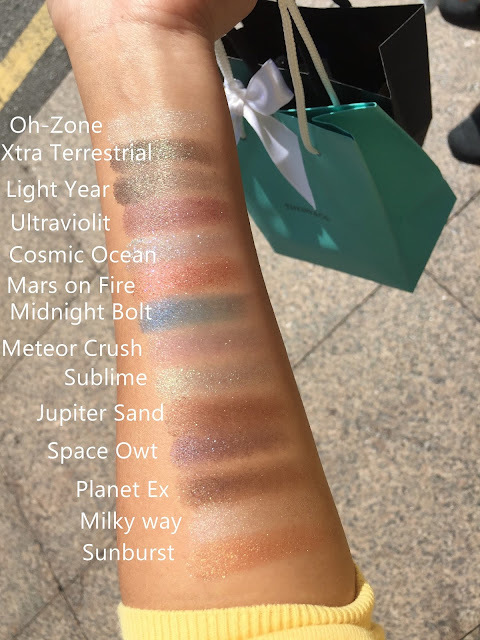 I had the opportunity to do some swatches at Sephora when passing by. Here's how it looks like. 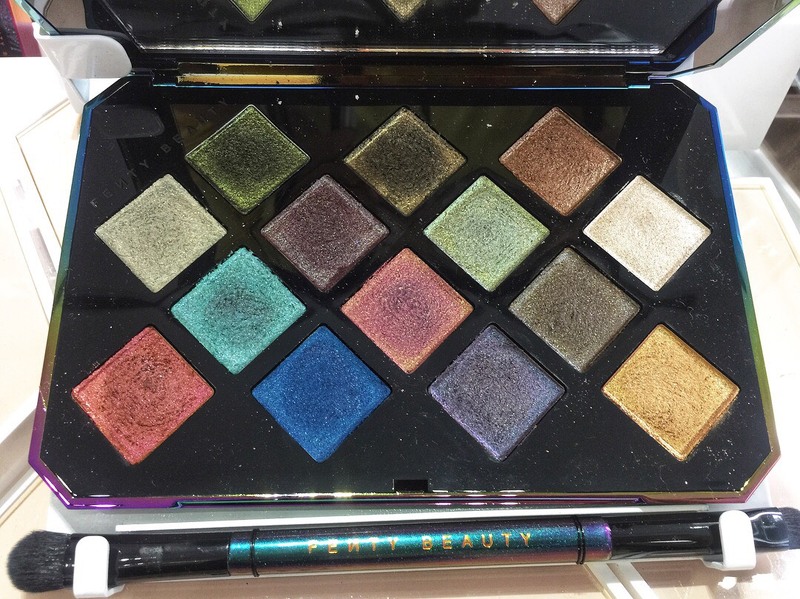 After searching, I decided this palette is not for me for a few reasons. The main reason is that, this palette isn't those practical palette. The finishing are all full blown glitter all the way. You will need other palette to compliment the look. I also find some eyeshadows patchy and hard to blend. I'm speaking from the searching experience. I'm not sure how it will perform on the eyes. Generally if it doesn't swatch good, it won't be easy to work on the eyes. Those are just my two cents. However, if you should get it, remember to apply generous amount of eyeshadow primer. The glitters tend to fall off easily because the base of the eyeshadow are mostly matte shadows. The formula just don't stick well with the glitters. Those satin base shadow works better with glitters.